Draft: 2006, New York Yankees, 9th rd. Is a 2003 graduate of Golden (CO) High School, where he played baseball, basketball and football...Traveled to Auckland, New Zealand as an ambassador for Major League Baseball during the 2011 offseason; also spent time swimming with great white sharks in Southern New Zealand with his wife during the trip (another diver tagged one of the sharks "Melancon" in his honor)...Does yoga four or five times a week to help increase his flexibility. It's hot yoga, the Bikram kind - 90 minutes, 105 degrees...Married to Mary Catherine...they have three children; daughters Brooklyn (September 27, 2011) and Ella Grace (October 17, 2015) and son Jack David (April 19, 2014). Posted a 1-4 record with a 3.23 ERA (14er, 39.0ip) and went 3-for-7 in save chances in 41 games overall for San Francisco...Recorded his first save of the season on June 21 vs. San Diego...Opponents hit .302 off him, which ranked as the sixthhighest opponents average among relievers in the NL...His best stretch of the season was from August 2-September 18 when he posted a 1.20 ERA (2er, 15.0ip) and went 2-for-2 in save opportunities over 16 appearances...Began the season on the 10-day injured list with a flexor strain in his right elbow…transferred to the 60-day injured list on April 28...returned from his rehab assignment and was reinstated from the 60-day injured list June 1...missed the Giants' first 56 games. Completed his first season in a Giants uniform, but missed time to the DL with a forearm injury...Helped team USA win the WBC after being added to the roster for the semi-finals and finals (0.2ip, 1h, 0r, 1bb)...Appeared in just 32 games, going 1-2 with a 4.50 ERA (15er, 30.0ip) and was 11-for-16 in save chances...Twice spent time on the disabled list with a pronator strain...This injury has lingered since 2012...pitched through pain starting in mid August to project leadership and help build team and personal momentum heading into 2018...His 30.0ip marked the fewest he threw in a single season since 2010 (21.1ip)...Opponents hit .301 (37-for-123) off him with 12 extra-base hits...Righties were 21-for-58 (.362) off him...prior to 2017 righties had hit just .237 off him...Struck out 29 batters in 30.0 ip...his 8.70 K/9.0 ratio was the highest it's been since 2014 (9.00)...Did not pitch in a save situation over his last 12 games (last save came on June 20 at ATL)...His five blown saves marked the most he had in a season since 2013 when he went 16-for-21 in save chances...Underwent season-ending surgery Sept. 12 to relieve compression in his right forearm... Dr. Steven Shin performed the surgery in Los Angeles. Split the season between the Pirates and Nationals, combining for a 2-2 record, a 1.64 ERA and going 47-for-51 in save opportunities in 75 relief appearances. Started the season with Pittsburgh and went 1-1 with a 1.51 ERA (7er, 41.2ip) and recorded 30 saves in 33 chances over 45 games. The Pirates won 83-consecutive games in which he had a save opportunity. Was acquired by Washington from Pittsburgh on July 30...posted a 1-1 record with a 1.82 ERA (6er, 29.2ip) and was 17-for-18 in save opportunities in 30 games with the Nationals. His 47 saves overall were tied with Baltimore's Zach Britton and Los Angeles' Kenley Jansen for the second-most in the Majors behind New York's Jeurys Familia (51). He ranked third in the National League in save percentage (92.2%) and led all NL relievers with a 1.64 ERA. His 5.42 SO/BB ratio ranked as the seventh-best figure among National League relievers. Became the first player to ever save 17 games for a team after having recorded 30 saves for another team earlier that season, according to Elias. Led the Major Leagues in saves and established a club record in that department...Converted 51 of his 53 save chances for an MLB-best 96.2 save percentage...Was the recipient of the Trevor Hoffman National League Reliever-of-the-Year award...His 51 saves tied him with Rod Beck (1998) for the sixth-highest single-season total in National League history; Eric Gagne (2003) and John Smoltz (2002) share the record (55)...Is just one of 12 pitchers in MLB history to earn 50 or more saves in a season (15th time overall)...Was named to his second National League All-Star team (also 2013)...Was also selected to The Sporting News N.L. All-Star team... Tied club record for most saves (29) prior to the All-Star break (also Jason Grilli in 2013)...Converted a club record 35 straight save opportunities from 4/23 thru 8/15...Set team record for most interleague saves in one season (seven)...Established career highs in appearances and innings pitched...Made his fifth straight appearance on a Major League Opening Day roster -- his third straight with the Pirates...His first four appearances were all non-save situations...Recorded his first save while making his fifth appearance on 4/17 vs. Milwaukee...Surrendered three runs and suffered a blown save and loss on 4/21 vs. Chicago (NL)...Rebounded with saves on three consecutive days (4/23-25) for the first time in his career...Posted a save on three consecutive days again from 5/9-11...Picked up a save in 10 consecutive games from 5/22 thru 6/10, matching the club record held by Salomon Torres (2006) and Mike Williams (2002)...Set a club record for most saves (11) in the month of June; the most saves in June by a National League pitcher since Huston Street had 11 with Colorado in 2009...Recorded his 100th career save and 30th of the season on 7/20 at Kansas City...Pitched a career-best 22.1 consecutive scoreless innings between 6/7 and 8/2...Surrendered two unearned runs on 8/18 vs. Arizona and suffered first blown save since 4/21...Posted his 40th save on 8/24 at Miami, becoming just the fourth pitcher in team history to earn 40 or more in one season...Set a team record with 10 saves during the month of August...Pitched for the first time since 8/29 on 9/8 at Cincinnati and was charged with three runs in 0.2ip in a non-save situation...Picked up his 100th save in a Pirates uniform on 9/25; just one of four pitchers in team history with 100 or more saves since saves became an official stat in 1969 (also Kent Tekulve-158, Mike Williams-140 and Dave Giusti-133). 2015 POSTSEASON:Pitched a scoreless ninth inning in the Wild Card Game vs. Chicago on 10/7. Posted a career high in saves and ranked eighth in the league in that department...Went 33-for-37 in save opportunities...Also established career high in strikeouts and tied career high in appearances (also made 72 in 2013)...Posted a 0.89 ERA (40.1ip/4er) and 20 saves (21 chances) in 41 games at PNC Park...Made his fourth straight appearance on a Major League Opening Day roster -- his second straight with the Pirates...Welcomed the birth of his son, Jack, on 4/14...Made eight straight scoreless appearances from 4/14-5/3 (8.0ip)....Served as the team's closer while Jason Grilli was on the D.L. from 4/26 to 5/23 and went 8-for-10 in save opportunities...Won first game on 5/2 vs. Toronto and then recorded first save the following night - also vs. Toronto...Converted four straight saves before giving up two runs in the ninth inning in a 4-3 loss at Milwaukee on 5/15...Converted five straight save opportunities from 5/18 (game two) thru 5/26...Gave up a solo homer to Lucas Duda in the ninth inning on 5/26 at New York, ending his streak of 86.0 innings without allowing a home run, dating back to 4/14/13...Saved 10 games in May; tied for most in the Majors with San Francisco's Sergio Romo...Did not surrender a hit in his first seven appearances in June (6.1ip)...Took over full-time closer duties when Grilli was traded to LAA on 6/27...Was scored upon just once in an 11-game span from 6/26 thru 7/29 (10.1ip/1er); only run allowed was a solo home run to Marlon Byrd at PNC Park on 7/5...Set career high with his 21st save on 8/8 vs. San Diego...Converted career-best 12 consecutive save chances from 6/21 to 8/12; had streak snapped after allowing one run in the ninth inning on 8/17 at Washington, his first blown save since 6/13...Went 1-0 with six saves and a 0.90 ERA (10.0ip/1er) in 10 games between 8/6-30...Pitched 1.2 innings on 9/3 at St. Louis and suffered 1-0 loss; his first outing of more than 1.0 inning since 10/2/12 (1.2ip)...Worked 2.0 scoreless innings and earned the win in the 11-inning suspended game of 9/5 at Wrigley Field (completed on 9/6); the first time he worked 2.0 innings in a game since 9/8/12...Converted each of his last 11 save opportunities, dating back to 8/26...Retired the three San Fancisco batters he faced (1 K) in the Wild Card Game at PNC Park on 10/1. 2013 SEASON: Spent entire season with the Pirates and led staff in appearances (career high)...Recorded the lowest ERA in team history among pitchers with at least 50.0ip exclusively in relief...Posted the second-lowest ERA among National League relief pitchers, trailing only Atlanta's Craig Kimbrel (1.21)...Walked just eight batters - the lowest total among all Major League pitchers with at least 65.0ip...Was named to the National League All-Star team; replaced the injured Jeff Locke on the active roster (did not pitch in the game)...Was scored upon in 11 of his 72 appearances and surrenderd just one home run during the regular season...Ranked second on the club in saves and went 16-for-21 in save opportunities...Made seven consecutive scoreless outings (7.0ip) to start the season...Gave up his first run on 4/14 - a solo home run to Joey Votto at PNC Park - and then made 13 straight scoreless appearances (13.0ip) thru 5/15...Picked up save on 5/22 vs. Chicago (NL) - his first since 8/26/12 and first in the National League since 9/22/11 with Houston...Won his first game on 5/28 at Detroit (1-0 victory in 11 innings)...Suffered his first loss on 6/4 at Atlanta...Earned second save on 6/26 at Seattle...Did not allow a run in a career-best 15.0 consecutive innings from 6/7 thru 7/20...Walked two batters and gave up a run on 7/21 at Cincinnati...Served as the club's closer after Jason Grilli went on the D.L. on 7/23 and recorded first save in that role on 7/24 at Washington...Appeared in 200th career game on 8/3 vs. Colorado...Converted five straight save chances from 7/24 to 8/7...Gave up an unearned run and suffered a blown save on 8/13 at St. Louis...Had ERA as low as 0.78 following his outing on 8/18 vs. Arizona...Converted nine straight save opportunities between 8/19 and 9/15...Suffered blown save and loss while giving up four hits and two runs in ninth inning of a 3-2 loss vs. San Diego on 9/18...Gave up three unearned runs in 0.2 and suffered blown save in next outing on 9/20 vs. Cincinnati...Was scored upon in three of his last four regular season games (3.2ip/6r/3er)...Had a 0.85 ERA (63.1ip/6er) in 64 games thru 9/9; a 5.87 ERA (7.2ip/5er) in his final eight outings...Posted a 0.93 ERA (38.2ip/4er) and held opposing batters to a .192 average (28-for-146) in 39 appearances at PNC Park. 2013 POSTSEASON: Went 1-0 with a 9.82 ERA (3.2ip/4er) in four games...Appeared in four of the five Division Series games against St. Louis...Tossed a scoreless frame in Pittsburgh's Game Two win at Busch Stadium on 10/4...Surrendered a solo home run to Carlos Beltran in the eighth inning of Game Three on 10/6 at PNC Park and suffered a blown save; was credited with the win as the Pirates scored two runs in the bottom of the frame for the 5-3 victory...Struck out two of the three batters he faced in Game Four on 10/7...Gave up three runs, including a two-run homer to Matt Adams, in 0.2ip of Game Five at Busch Stadium on 10/9. Began season with Boston and was scored upon in each of his first four outings (2.0ip/11er)...Failed to retire any of the six batters he faced on 4/17 vs. Texas, giving up three home runs and allowing a career-high six runs...Was optioned to Triple-A Pawtucket on 4/18...Did not allow a run in his first 13 games (13.0ip) with Pawtucket thru 5/16 and was scored upon just twice in his 21 Triple-A appearances...His 11 saves for the PawSox were tied for the International League lead during his time with the club from 4/18-6/9...Held Triple-A opponents to a .185 batting average (15-for-81)...Was recalled by Boston on 6/10 and recorded a 4.19 ERA (43.0ip/20er) with 40 strikeouts in 37 outings to end the season...Did not allow a hit in his first four games with the Red Sox after recall (3.1ip)...Pitched a career-high 12.1 consecutive scoreless innings from 6/24 to 7/20...Held opponents to a .207 average (18-for-87) and struck out 25 batters in his final 23.0 innings, beginning on 8/1...Pitched a scoreless ninth inning on 8/26 vs. Kansas City to earn his only save with Boston - his first in the big leagues since 9/22/11 vs. Colorado and the first of his career in the American League...Gave up just one run in 10.0 innings (0.90 ERA) over his last eight outings beginning on 9/2...Struck out a career-high four batters over 1.1 scoreless innings on 9/26 vs. Tampa Bay...Did not allow a stolen base all season (1 CS); his 45.0 innings were the second-most among American League relievers without a stolen base allowed (Kansas City's Louis Coleman led with 51.0ip)...Held right-handed batters to a .227 average (22-for-97), which included a league-low .048 average (1-for-21) from 8/28 thru the end of the season (min. 20 BF). In 1st full Major League season, took over as Houston's closer in May and collected 20 saves in 25 chances...Finished tied for 3rd in the National League with 8 relief wins.Was only Major Leaguer to record at least 8 wins and 20 saves in 2011.His 8 victories out of the bullpen marked the most by an Astros reliever since Doug Henry also won 8 in 1998.Held opponents to a .234 AVG (65-for-278), including .228 (38-for-167) vs. right-handed batters.Stranded 13 of 17 inherited runners.Was the only member of the Astros Opening Day roster to stay in the bullpen the entire season.Earned 1st Major League save with a perfect 9th inning on 5/6 at PIT (8 pitches, 6 strikes).Went 2-0 with 7 saves and a 0.59 ERA (1 ER/15.1 IP) in his final 14 appearances of the season from 8/24-9/26.Threw 11.2 scoreless frames over final 11 outings beginning 8/29, going 6-for-6 in save opportunities during that time and limiting opponents to a .081 clip (3-for-37)...Struck out 15 batters compared to 2 walks. Finished the season 2-0 with a 4.22 ERA (10ER/21.1IP) in 22 appearances with Houston and New York (AL) combined...as anAstro, posted a 2-0 record and a 3.12 ERA (6ER/17.1IP) in 20 appearances...began the year at Triple A Scranton-Wilkes Barre...recalledby the Yankees on May 2 and stayed up through May 4...spent a second stint with New York from May 18-20...acquired by Houston inthe Lance Berkman trade on July 31 and immediately optioned to Triple A...recalled on Aug. 9 and spent the remainder of the yearwith the Astros...spent the majority of his season at the Triple A level, appearing in a combined 43 games with a 7-1 record, sevensaves and a 3.41 ERA (23ER/60.2IP)...allowed runs in only three of his final 16 Major League appearances, posting a 2.63 ERA(4ER/13.2IP) from Aug. 24 through the end of the season...tossed a career-high 3.0 innings, fanning a career-high three hitterson Aug. 24 at PHI in a 4-2, 16-inning Astros win...picked up his first career win on Aug. 17 vs. NYM (1ER/1IP)...RHP Wilton Lopezpicked up his first career save that day, making them the first pair of teammates to pick up their first career win and save in thesame game since Aug. 2, 2007 (W-McLemore, SV-Moehler). Was 0-1 with a 3.86 ERA in 13 relief appearances over three stints with the Yankees(4/25-5/8; 7/10-8/8 and 9/1-10/4)... opponents batted .217 (13-for-60, 0HR); LH .276(8-for-29), RH .161 (5-for-31)... stranded 7-of-15 inherited runners (46.7%)... retired7-of-13 first batters faced (53.8%)... appeared in consecutive games once (7/31-8/1)...Was signed to a Major League contract and selectedto the Yankees' 25-man roster on 4/25 from Triple-AScranton/Wilkes-Barre... made his Major Leaguedebut the next night in 4/26 loss at Boston, tossing2.0 scoreless IP (1H, 1BB, 1HBP, 1K)...Suffered his first blown save in 5/1 win vs. Los Angeles-AL, allowing 1H and 1ER in 0.1IP (1BB, 1WP)... was thefirst run allowed in his Major League career... enteredthe game with two outs and the bases loaded in thesixth inning and allowed all three inherited runners toscore on a Gary Matthews Jr. triple... was optioned toScranton/WB on 5/8...Recalled on 7/10 and allowed 3R (2ER) on 3H in 2.1IP ofrelief that night at Los Angeles-AL... did not pitch againfor 18 days (14 games) until 7/28 at Tampa Bay, tossinga career-high-tying 2.1 scoreless innings (1H, 2K)...Was optioned back to Scranton/WB on 8/8 when RHPJosh Towers joined the Major League staff...Was recalled for a third time prior to 9/1 win atBaltimore... allowed a run in three of his final four outings during September...In 32 relief appearances with Scranton/WB, was 4-0 with three saves and a 2.89 ERA(53.0IP, 37H, 22R, 17ER, 11BB, 54K, 3HR)... recorded 10.1 scoreless IP in relief and struckout 17 batters over six appearances with Scranton/WB prior to his first recall...Appeared in six spring training games as a non-roster invitee, recording a 7.94 ERAwithout a decision (5.2IP, 9H, 6R, 5ER, 3BB, 5K, 2HR). Combined at three stops (Single-A Tampa, Double-A Trenton and Triple-A Scranton/Wilkes-Barre) to go 8-1 with a 2.27 ERA in 41 relief appearances, holding opponentsto a .202 batting average (69-for-341, 6HR)... lefthanders batted just .163 (21-for-129,2HR)... threw more than 1.0 inning in 40 of his 44 outings...Opened the year at Tampa, allowing 6ER in his first three outings (4.2IP, 11.57ERA)... surrendered just 2ER over his next 20.2IP (0.90 ERA) before being promoted toTrenton on 5/13... tossed at least 2.0 innings in all 19 appearances with the Thunderand converted both his save opportunities...Promoted to SWB on 7/29, where he struck out 22 batters in 20.0IP... appeared intwo postseason games with the International League champions, going 1-0 with3.0 scoreless IP... following the season, was selected as the organization's ninth-bestprospect by Baseball America. Missed the season after having "Tommy John" surgery on 10/31/06... entered the 2007 season ranked as theninth-best prospect in the Yankees organization by Baseball America. Made professional debut with short-season Single-A Staten Island, making seven relief appearances andgoing 0-1 with a 3.52 ERA and two saves... helped lead the Yankees to their second consecutive NY-PennLeague Championship, tossing 3.1 perfect innings in three postseason appearances with 6K. June 1, 2018 San Francisco Giants activated RHP Mark Melancon from the 60-day injured list. May 21, 2018 San Francisco Giants sent RHP Mark Melancon on a rehab assignment to Sacramento River Cats. April 28, 2018 San Francisco Giants transferred RHP Mark Melancon from the 10-day disabled list to the 60-day disabled list. Right elbow flexor strain. March 29, 2018 San Francisco Giants placed RHP Mark Melancon on the 10-day disabled list retroactive to March 26, 2018. Right elbow flexor strain. August 12, 2017 San Francisco Giants activated RHP Mark Melancon from the 10-day disabled list. August 2, 2017 San Francisco Giants sent RHP Mark Melancon on a rehab assignment to San Jose Giants. July 30, 2017 San Francisco Giants sent RHP Mark Melancon on a rehab assignment to Sacramento River Cats. May 17, 2017 San Francisco Giants activated RHP Mark Melancon from the 10-day disabled list. May 9, 2017 San Francisco Giants placed RHP Mark Melancon on the 10-day disabled list retroactive to May 6, 2017. Mild right pronator strain. December 5, 2016 San Francisco Giants signed free agent RHP Mark Melancon. November 3, 2016 RHP Mark Melancon elected free agency. July 31, 2016 Washington Nationals activated RHP Mark Melancon. December 26, 2012 Pittsburgh Pirates traded RHP Joel Hanrahan and 2B Brock Holt to Boston Red Sox for 2B Ivan De Jesus Jr., RHP Mark Melancon, RHP Stolmy Pimentel and LF Jerry Sands. June 10, 2012 Boston Red Sox recalled Mark Melancon from Pawtucket Red Sox. 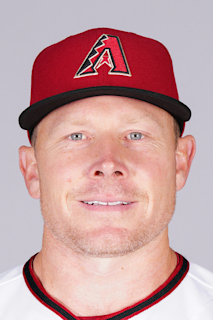 April 20, 2012 Mark Melancon roster status changed by Pawtucket Red Sox. April 18, 2012 Boston Red Sox optioned RHP Mark Melancon to Pawtucket Red Sox. December 14, 2011 Houston Astros traded RHP Mark Melancon to Boston Red Sox for SS Jed Lowrie and RHP Kyle Weiland. August 9, 2010 Houston Astros recalled Mark Melancon from Round Rock Express. July 31, 2010 Houston Astros traded cash and 1B Lance Berkman to New York Yankees for Jimmy Paredes and RHP Mark Melancon. July 31, 2010 Houston Astros optioned Mark Melancon to Round Rock Express. May 20, 2010 New York Yankees optioned RHP Mark Melancon to Scranton/Wilkes-Barre Yankees. May 18, 2010 New York Yankees recalled Mark Melancon from Scranton/Wilkes-Barre Yankees. May 4, 2010 New York Yankees optioned Mark Melancon to Scranton/Wilkes-Barre Yankees. May 2, 2010 New York Yankees recalled Mark Melancon from Scranton/Wilkes-Barre Yankees. March 25, 2010 New York Yankees optioned Mark Melancon to Scranton/Wilkes-Barre Yankees. November 9, 2009 Mark Melancon roster status changed by New York Yankees. October 7, 2009 New York Yankees reassigned RHP Mark Melancon to the minor leagues. September 1, 2009 New York Yankees recalled RHP Mark Melancon from Scranton/Wilkes-Barre Yankees. August 8, 2009 New York Yankees optioned Mark Melancon to Scranton/Wilkes-Barre Yankees. July 10, 2009 New York Yankees recalled Mark Melancon from Scranton/Wilkes-Barre Yankees. May 8, 2009 New York Yankees optioned Mark Melancon to Scranton/Wilkes-Barre Yankees. April 25, 2009 New York Yankees selected the contract of Mark Melancon from Scranton/Wilkes-Barre Yankees.